From the 15th June, most of the world’s governments, unfortunately NOT the UK will be negotiating the ban on nuclear weapons at the United Nations in New York. WILPF (Women’s International League for Peace and Freedom) have invited their friends to hit the streets to celebrate and also demand a good treaty that prohibits these weapons of mass destruction once and for all. 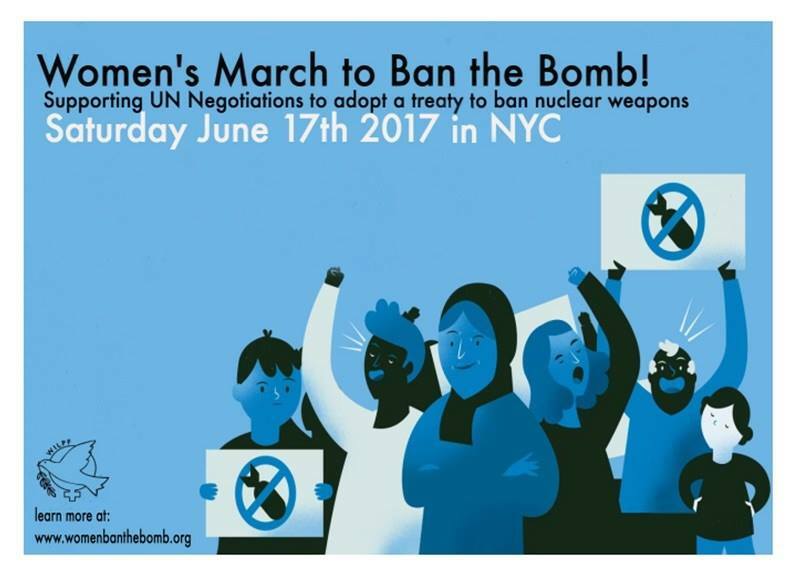 The Women’s March To Ban The Bomb aims to bring together people of all genders, sexual orientations, ages, races, abilities, nationalities, cultures, faiths, political affiliations and backgrounds in a New York March and Rally on 17th June and Scottish representatives at the negotiations will be there with a banner. WILPF invites solidarity gathering across the world by those who support the treaty but can’t make New York. Here in Scotland, there are gatherings planned for Edinburgh, Glasgow, Kilmarnock, the isle of Arran and if you can’t make one of these, maybe you can plan something in your own local area and be sure to let the SCND ICAN group know. www.nuclearban.scot and www.womenbanthebomb.org for more info. Don’t hate the media be the media. Support Bella Caledonia here.